We plan to be back to blogging in 2012. Natural~Specialty Foods Memo has been away since March 11, 2010 because we've been working on a special research project, the results of which will soon start appearing in the blog. We, however, have been and continue to be active daily on our Twitter.com feed, which you can view on the right. We are at www.twitter.com/NSFoodsMemo. Follow us there for news, information, analysis and commentary on the natural, organic and specialty foods industries and related topics. We want to thank the numerous regular readers and Twitter followers who've e-mailed, asking us if and when we will return. Entrepreneurs have historically been and remain in the main the innovators and trend-starters in the natural, organic and specialty foods product businesses in the United States. In fact, were it not for entrepreneurs and entrepreneurial companies, we would not likely see the robust, and constantly growing, natural, organic, specialty, gourmet and ethnic foods industry that exists today in the U.S. Entrepreneurs - be they chefs, farmers, former food industry executives and workers, ex-lawyers, accountants and doctors, or just plain people with ideas, were the first to create domestic natural, organic and specialty foods products in the U.S., often selling them directly to consumers to start, along with peddling their wares from store-to-store, door-to-door, talking retailers into putting the items on the shelves to give them a try, which is something that's still done in the business in varying degrees. Entrepreneurial natural and specialty foods distributors, along with pioneering natural and specialty foods retailers and grocers, also played and continue to play a key role in creating and growing the natural, organic and specialty foods industries in the U.S. It's been only since about the mid-1980's in fact when larger food companies became involved in the business in a significant way (with the exception of imported specialty foods), primarily doing so in the beginning by acquiring many of these entrepreneurial companies, which over the years grew into substantial businesses. Today, natural, organic and specialty foods products, or packaged goods, of all kinds are big business. The products line the shelves of even the most basic supermarkets, and are sold in discount stores run by giants like Walmart, Costco, Target and many others, for example. And of course, in many cases yesterday's natural, organic or specialty food product (or category) is today's mainstream or near-mainstream product or category. For example, look at organic and premium/specialty coffee. Just 15 years ago buying and drinking anything but Folgers or Maxwell House (plus a few other mainstream coffee brands) was considered something only the rich or elite consumer did in the U.S. Today, buying and drinking organic and premium coffee is something that cuts across all income and social class consumer lines. As recently as the early-to-mid 1990's in the U.S. (and mid-to-late 1990's in the case of balsamic vinegar) both products were considered niche, specialty items. Organic olive oil particularly was a super-niche item. Today, olive oil - and to a lessor but very significant degree balsamic vinegar - are essentially mainstream products. Organic olive oil isn't mainstream at present, primarily because of its higher cost, but its much more than a super-niche item than it was just a few years ago. The case history of natural, organic and specialty foods items that have moved from super-niche and niche to near-mainstream and even mainstream is extensive. Entrepreneurs still remain the backbone of the U.S. natural, organic and specialty food product (we include beverages) industries. It's the start-up companies, and those in the small-to-medium range, where the majority of idea-generation and innovation remains today. To celebrate this phenomenon - and some of the entrepreneurs leading this charge, particularly despite the bad economic times the U.S. remains in - starting today, and running until the end of March, Natural-Specialty Foods Memo is showcasing various natural, organic and specialty foods entrepreneurial companies on Twitter, at our www.twitter.com/NSFoodsMemo feed, which you can see in the top right hand corner of the blog. If you go to our NSFoodsMemo twitter page linked above, look for the #foodentrepreneur hashtag on our tweets. Such hashtags are a way of allowing for a search on Twitter. For example, if you type in #foodentrepreneurs in the Twitter "search" box, all of our tweets, and those of any other feed using the hashtag, will come up for your viewing. We're also tieing-in our #foodentrepreneurs "tweet showcase" on our Twitter page with the blog. We will include all of the tweets in this post, adding them in real time. At the end of March this post will contain all of the #foodentrepreneur showcase tweets we make from today to March 31, 2010. We're calling the project: "From Twitter to the Blog: The Natural~Specialty Foods Memo Natural, Organic & Specialty Food Entrepreneurs' Showcase," which is the title of this post. As you click on the links on the tweets (below) about the various entrepreneurial food companies in this post and read about them, we invite you to comment, using the "comments" link at the end of this post. We welcome comments about the companies, particularly if you've tried their products and have an opinion of them, but also in general - your views, opinions and analysis. Below then are the tweets comprising our "From Twitter to the Blog: The Natural~Specialty Foods Memo Natural, Organic & Specialty Food Entrepreneurs' Showcase" project. [Readers: If you know of an entrepreneurial natural, organic, specialty/gourmet or ethnic foods company (or individual) you think we should showcase in our project, feel free to send us the information at nsfoodsmemo@gmail.com. As much information as possible is requested, particularly a website address. Of course, we reserve the right to decide if we showcase the company in a Twitter tweet and in the blog. This week we learned that Burkle and his Yucaipa Companies investment firm's return on his January 2009 $98 million investment in Whole Foods, through his Yucaipa Companies is no longer - at least the majority of it - just on paper. According to Yacaipa, Burkle has sold the majority of his shares in Whole Foods, which represented an about 7% ownership stake in the natural grocery chain, for a return of about 200% Not bad for a year's worth of investment. In our February 16 story we suggested Burkle might sell most or all of his Whole Foods stake soon because he's currently extremely busy tending to his about 19% ownership stake in book retailer Barnes & Noble, not to mention the myriad of other investments Yucaipa has. Burkle has been selling off the Whole Foods shares for about the last month or so as the natural grocer's share price has continued to soar. Among Burkle's activities vis-a-vis Barnes & Noble has been a campaign he's launched to be allowed to buy additional shares in the bookseller, something its board and CEO have been blocking. Apparently they fear an activist shareholder who puts his money behind his ideas and strategies for making what has become a laggardprimarioy bricks-and-mortar book retailer, under fire from Amazon.com and other online book retailers, a potentially better performing one. Barnes and Noble sells books online but hasn't been able to compete in any significant way with Amazon. Burkle has told Barns & Noble's board he wants to buy up to about 38% of the company. They have put in a provision which prohibits any outside investor from acquiring more than a 20% ownership stake. Burkle is also interested in taking a substantial stake in the storied New York City retailer Barneys. He's bought some of the struggling apparel retailer's debt and has told its foreign owners, Dubai's Istithmar World investment firm, that he is interested in lending the firm, which has been hit hard by Dubai's financial meltdown, $50 million in return for taking control of Barney's, which Burkle thinks he can return to its glory days. The Dubai investment firm bought Barney's in 2007 for about $900 million. Based on his track record in the supermarket retailing industry, we think if he acquired Barney's, Burkle would first invest in it, like he did when he acquired the various chains to comprise Ralphs/Food 4 Less, which he eventually sold to Kroger Co. in the 1998's for $13.5 billion. He likely then would cut costs, in part by wringing as much cost as he could out of Barney's supply chain, something he knows a thing or two about doing in the retailing business. We think Burkle would also extend the Barney's brand, both into opening new stores in key U.S. markets and perhaps even selectively overseas, as well as into other forms of business. The Barney's brand still has considerable equity. After doing these and other measures, operating Barney's for a few years, it's likely Burkle would then take the company public, which could result in substantial profits if all went well in the process we describe above. But meanwhile Burkle has exited, at least for the most part, Whole Foods Market - and done so with a nice 200% return on his $98 million investment. He's not out of the supermarket industry investment game completely though: Burkle owns 30% of the A&P supermarket chain and is playing a major role in the east coast grocery chain's strategy, along with how it's being managed. Remember, he's an activist shareholder, and with a 30% stake he should get involved in a hands on manner. Burkle's Yucaipa has about $9 billion worth of investment funds, according to the firm. Among its investors are two of California's biggest pension funds. Burkle lives in Southern California and New York City. His personal worth is estimated at $3.2 billion, according to Forbes magazine, which lists him in its storied richest people in the world ranking. Look for Burkle - who grew up in the grocery business, starting as a bag boy at Southern California's Stater Bros. grocery chain then eventually moving into a vice president position there before leaving to start Yucaipa - to make new investments in the supermarket industry. It's not only the business where he made his first and major fortune - it's also in his blood. It's been just over a year since legendary supermarket industry magnate, investor, philanthropist and friend of Bill Clinton, Ron Burkle (pictured at left), acquired a 7% stake (9.8 million shares) in natural-organic foods grocery chain Whole Foods Market, Inc. Burkle reported his stake in a SEC regulatory filing on January 8, 2009. During the about two month period from late November 2008 -to- early January 2009 in which Burkle made his investments in Whole Foods' common stock through his Yucaipa Companies' investment firm, the natural-organic foods grocer was aisle-deep in two key struggles: it's battle with the U.S. Federal Trade Commission (FTC) over the acquisition of Wild Oats Markets Inc.; and a loss in sales due to the economic recession. As a result of these two key factors, Whole Foods' stock share price ranged from $9.97 per share (November 24, 2008) to $10.01 per share (January 7, 2009) during the period when Burkle made his $98 million worth of stock purchases, resulting in the 7% total ownership stake in the company. We will call it an average of about $10 per share. Today, a mere year later, Whole Foods Market. Inc. reported a whopping 79% increase in earnings for its first quarter fiscal year 2010 over the same period in 2009. Additionally, first quarter 2010 sales increased 7% to $2.6 billion, compared to the same quarter last year. Further, same store sales, which are a key measure of a retailer's health, increased by 2.5%. Complete details are here. Whole Foods' first quarter sales and profits report announcement today sent the natural-organic grocery chain's stock share price soaring. At the end of business today Whole Foods Market, Inc. stock was trading at $32.95 per share. The stock has been growing like naturally-fertilized clover over the past 12 months. The 52- week low is $9.06. The 52-week average high is $34.40 per share. Speaking of naturally-fertilized clover, Ron Burkle is certainly waist deep in it in terms of his about 13 month profit in Whole Foods Market, Inc. stock. Based on the average price of $10 per share he made from late November 2008 -to- early January 2009, the supermarket magnate and investor has more than tripled the value of his $98 million stake in Whole Foods in just slightly over a year. Based on the $10 per share average purchase price, at today's $32.95 per share close, Burkle has seen a whopping per share increase of $22.95. Not bad for a one-year investment adventure. In this story [Retail Memo - Exclusive: Supermarket Industry Investor Ron Burkle Looking For A Seat On Whole Foods Market's Board of Directors] on January 16, 2009, we reported that Ron Burkle was interested in seeking a seat on Whole Foods Market Inc.'s board, based on his 7% stake in the company. However, to date Burkle has been satisfied to be a passive investor in the natural-organic grocery chain - a position that has obviously paid off for the supermarket industry investor. We stick by the January 2009 report that Burkle did have an interest, however strong or weak, in possibly joining the board. But it obviously wasn't something he has pushed, since if he did we doubt Whole Foods would deny him a spot. And if the grocer did, we would have heard about it. We haven't. Historically, Burkle has been what's referred to as an activist shareholder, an investor who buys a substantial stake in a company and then participates in some way in its operations, generally as a member of its board and often times operationally. This has been especially the case for Burkle regarding his numerous investments and acquisitions in the food and grocery retailing industry. But it appears to date that Ron Burkle has trust in Whole Foods' current board and senior management - a trust well-founded based on the growth of the investor's just over one year investment - and as such sees no need to join the board. Burkle hasn't been a traditional passive investor when it comes to Whole Foods Market though. In fact, we are aware that over the last year Burkle has offered numerous ideas and suggestions, including involving Whole Foods value strategy, to the grocer's board members and senior management. But of course Burkle isn't merely a investor in supermarkets - he has extensive operations experience as an food and grocry retailing executive. He started out in the grocery retailing business as a bag boy for the Los Angeles-based Stater Bros. supermarket chain, where he eventually became a vice president. In addition, Burkle was the board chair of Wild Oats Markets Inc., and was instrumental in the natural grocer's merger with Whole Foods. Ron Burkle also put together one of the biggest supermarket chain's in the U.S. - Ralphs/Food 4 Less - which he eventually sold to Kroger Co. This was what earned him the 'supermarket magnate" nickname. Interestingly, today Yahoo, of which Burkle is an investor and has been a member of the board of directors since 2001, announced that the investor is stepping down from its board because he wants to "devote more time to his other business interests." In the statement, Yahoo Chairman Roy Bostock said: "Yahoo and its stockholders have benefited greatly from the counsel, insights and objectivity Ron has brought to the company during his nine years on the board." The key business interest we think Burkle wants to devote more time to is his current investment focus on the Barnes & Noble book store chain. Burkle recently disclosed in an SEC regulatory filing that his Yucaipa Companies investment firm has acquired a 19% ownership stake in the bricks-and-mortar and online book retailer. Additionally, in that filing Burkle said he would like to own as much as 37% of Barnes & Noble. Barnes & Noble has an anti-takeover provision which makes it difficult for investors like Burkle to acquire majority ownership in the company, something that's been suggested he would like to do. However, if he can acquire as much as 37% (and even a bit less) of the bookstore chain, Burkle will have significant influence, including a seat (and maybe even chair) on the retailer's board. 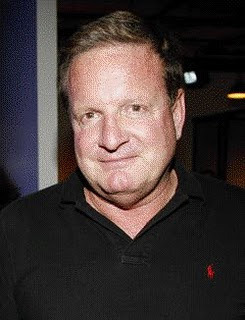 It sounds to us like we will see the "activist shareholder" Burkle rather than the more passive investor Burkle when it comes to his run on Barnes & Noble. In fact, his profits so far in Whole Foods Market, Inc. could provide a nice cash cushion should he decide to sell some shares for his investment in Barnes & Noble. We have no information however that Burkle plans on cashing-in any part of or all of his investment stake in Whole Foods. Either way, it's been a rather excellent 'One Year Whole Foods Market Investment Adventure' for the supermarket magnate. We even suppose it's been an excellent enough one year adventure to make the legendary investor willing to take a crack at one of the most difficult retailing segments in U.S. - book selling. Labels: Ron Burkle, supermarket industry investing, Whole Foods, Whole Foods Market, Whole Foods Market Inc. The earthquake that stuck the island nation of Haiti on Tuesday is one of the most devastating natural disasters in recent times. The U.N., United States and other nations are rushing to the country's aid with money and human resources, as are key non-governmental agencies (NGO's) like the Red Cross, Salvation Army, Doctors Without Borders and many others. Right now the biggest need for these key agencies is cash in the form of donations. This is particularly the case with the Red Cross, which is serving as the lead NGO in Haiti as it regularly does globally in such disasters. 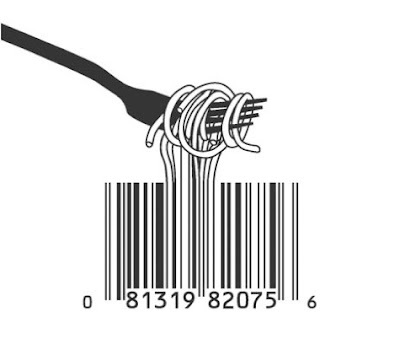 Our beat is food - the global food and grocery industry, along with all related topics. In this post we will keep a running count of all the food-grocery companies - retailers, food-makers, marketers and others - throughout the world we can find that are making donations of any type to Haiti relief, along with listing any types of fund-raising programs these companies and their employees are doing. The Natural~Specialty Foods Memo List is regularly updated as we learn about new efforts. Also follow our Twitter feed - www.twitter.com/NSFoodsMemo - for real-time updates on food-grocery companies donating to the relief efforts in Haiti. As individuals, one simple way you can contribute to Red Cross Haiti assistance efforts is by simply texting "HAITI" to 90999 on your mobile phone. Doing so will result in a donation of $10 to be charged to your cell phone bill. Donations to the Red Cross can also be made here (American Red Cross) or here (International Red Cross). Numerous other NGO's and non-profits are also seeking donations for their respective earthquake relief efforts. Some Information, resources, and ways you can help survivors of the Haiti earthquake. 1. Walmart Stores, Inc., the largest retailer in the U.S. and the world, has donated $500,00 to Haiti earthquake relief efforts so far - $400,000 in cash to the Red Cross and $100,000 worth of pre-packaged food kits donated at the request of the Mexican Red Cross for Haiti. Walmart also has set up a special Web site here where its employees and others can make individual donations to the relief efforts. Walmart also said on Wednesday (January 13) that it is working on an addition support plan for Haiti. Read about it here and here. >Walmart Canada announced a campaign to raise money for Haiti disaster relief, starting with a $100,000 contribution from the company to the Canadian Red Cross. >Walmart Puerto Rico made a donation of $25,000 to the Puerto Rico chapter of the American Red Cross and launched a campaign to encourage customers to contribute the change from their store purchases to benefit disaster victims. >Walmart Argentina also announced a $25,000 contribution today to the Red Cross in that country. >Walmart operations in Canada, Puerto Rico, Mexico, and Chile have launched fund-raising campaigns to benefit disaster victims. 3. Food, grocery and general merchandise retailer Target just announced it will donate $500,000 to earthquake relief efforts in Haiti. More here. In addition to the cash donation, Target stores volunteers are working in partnership with students from The Fair School in Minneapolis, Minn. and ImpactLives, a local non-profit organization, to prepare more than one million meals to send to Haitian earthquake victims. 4. Pleasanton, California-based Safeway Stores, Inc. is making an initial $100,000 donation to the American Red Cross and UNICEF, two organizations at the forefront of the earthquake disaster relief mission in Haiti. More here. In addition, Safeway has launched a company-wide fundraising program to help Haiti. The company’s 1,730 stores throughout the U.S. and Canada will immediately begin collecting donations for Haiti disaster relief through a checkstand donation program, says Safeway CEO Steve Burd. Further, Safeway’s corporate offices and other non-store facilities will also conduct employee fundraisers so the company’s entire workforce can contribute to helping the people of Haiti recover from the earthquake, Burd says. 5. Online consumer packaged goods-consumer products retailer and multi-level marketer Away is donating $100,000 to disaster relief efforts in Haiti, as well as matching contributions its employees and distributors make through its Web site here. Among the products Amway sells include natural-organic-health food and beverage items, vitamins and nutritional supplements. 6. Toy, game and kids' products (and yes food and grocery) retailer Toys "R" Us, through its Toys"R"Us Children's Fund, is making a $150,000 donation to help the non-profit Save the Children organization in its efforts to provide relief to victims of the 7.0 magnitude earthquake that struck Haiti's capital of Port-au-Prince on Tuesday. More here . [Learn about what 'Save the Children' is doing, and the help it needs, in Haiti here .] And yes - Toys "R" Us qualifies as a 'food and grocery' retailer." Read our May 5, 2009 story here. 7. Mega-online retailer Amazon.com, which sells an extensive selection of food, grocery and non-foods packaged goods, has established/placed a box on its main Web Site homepage where customers can contribute to the international relief efforts for the survivors of the 7.0 magnitude earthquake in Haiti. See details here. All customer donations go to the charity Mercy Corps, which is assisting on the ground in Haiti. 8. Pennsylvania USA-based supermarket chain Weis Markets Inc. will begin collecting donations on behalf of the American Red Cross' Haiti Relief and Development Fund in its 165 stores in Pennsylvania, Maryland, New York, New Jersey and West Virginia on Friday, January 15. Starting tomorrow, customers can donate the amount they wish by adding to their grocery bill at check out or at the stores' courtesy desks, says company president and CEO David J. Hepfinger. 9. Jacksonville, Florida-based supermarket chain Winn-Dixie announced today it is launching its "Neighbors Helping Neighbors" program in all of its 514 stores to help support the American Red Cross disaster relief efforts in Haiti. "Neighbors Helping Neighbors" allows Winn-Dixie customers to donate to the Red Cross by simply indicating the amount of their choosing (between 50 cents and $500) at the cash register, says Mary Kellmanson, group vice president of marketing for the grocery chain. Additionally, the Winn-Dixie Foundation and the Western Union Foundation have partnered to donate $200,000 to the American Red Cross International Response Fund. See here. 10. Seattle, Washington-based PCC Natural Markets (@PCC on Twitter.com), the largest natural foods retail cooperative in the United States, has made a $25,000 donation to the American Red Cross for the benefit of relief efforts in Haiti following the earthquake that has devastated that country. “The magnitude of food, health care and infrastructure support needed by victims of this disaster is overwhelming,” says Tracy Wolpert, PCC’s CEO. “We are pleased to contribute to the recovery efforts being coordinated by the American Red Cross." See more here. 11. United Kingdom-based Tesco, Britain's leading food retailer and the fourth-largest overall retailer in the world, has donated ~50,000 pounds ($81,645 in U.S. dollars) to the British Red Cross to be used for the agency's relief efforts in Haiti. See here. Tesco also owns and operates 135 Fresh & Easy Neighborhood Market food stores in California, Nevada and Arizona USA. 12. Kroger Co. announced today (01/19/2010)) it has donated $250,000 through its The Kroger Foundation to the American Red Cross for its Haiti relief efforts. Read more here. The Kroger Co.-owned and Los Angeles, California-based Ralphs/Food 4 Less grocery chain announced today (01/14/2010) that their stores will accept donations from customers to support the Red Cross' Haitian earthquake relief efforts. The supermarket chains are establishing collection points in all of their Ralphs stores in Southern California, Food 4 Less stores in Southern California, Las Vegas, Illinois and Indiana, and Foods Co stores in Central and Northern California where customers can make cash donations. Donations will be accepted beginning today through January 30, 2010 with all funds collected going directly to the American Red Cross for its Haitian earthquake relief efforts. More here. Additionally, Kroger Co.-0wned chains Dillons, Fred Meyer, Fry’s, King Soopers, QFC and Smith’s Food & Drug are all conducting in-store collection drives similar to what its Ralphs/Food 4 Less chain is doing., Kroger C0. also announced today (01/19/2010) all of its stores have thus far raised $600,000 in donations for the Red Cross, and that the company expects the total donations to be more than $1 million by the time the drives are completed. The $600,000 in customer contributions is in addition to the $250,000 donation Kroger made to the Red Cross. 13. North Carolina-based supermarket chain Harris Tweeter Inc. is donating $25,000 to the American Red Cross for the organizations Haiti relief efforts. Additionally, the grocery chain has launched a chain-wide fundraising drive to aid victims of the earthquake in Haiti. The grocer is selling $1 and $5 earthquake relief cards to customers at all of its 194 stores. The cards can be purchased through Jan. 31. Harris Teeter says customers donated more than $66,784 during the first day of the campaign. More here. 14. The eastern U.S.-based Stop & Shop Supermarket chain announced today that along with its sister supermarkets it will donate $100,000 to the American Red Cross International Response Fund. Additionally, beginning on Saturday, January, 16th and continuing through January 31st, it will be collecting donations in all stores and corporate offices for the Victims of the Haiti earthquake on behalf of the American Red Cross International Response Fund. More here. 15. The Rite Aid drug chain announced today that it's making a $50,000 donation through its Rite Aid Foundation to the American Red Cross International Response Fund to help the victims, families and communities affected by the earthquake in Haiti. The retailer also announced that it will launch a customer and associate fundraising program next week to aid earthquake relief efforts. Customers will be able to donate funds by purchasing $1 disaster relief certificates at any Rite Aid store across the United States. Rite Aid sells a selection of food, grocery and related packaged goods products in its stores. More here. 16. Walgreens, the largest drug chain in the U.S., announced today it's donating $100,000 to the American Red Cross in response to the devastating 7.0 magnitude earthquake that struck Haiti this Tuesday. In addition, the retailer will also match employee donations–dollar for dollar–up to $50,000. Further, Walgreens is providing non-perishable food, water and medical supplies to the University of Miami Global Institute for Community Health and Development which has set up clinics and triage units on the streets of Port-au-Prince, the largest city in Haiti, just miles from the epicenter of the quake. Walgreens stores in the Miami area are also taking donations for local Red Cross relief efforts on the ground in Port-au-Prince. Walgreens sells a selection of packaged and perishable foods, grocery products and related goods in its 7,159 drug stores, which are located in all 50 U.S. states. More here. 01/21/2010 Walgreens said today that just days into offering customers the option to make donations to Haiti disaster relief efforts at its registers, its stores across the country have collected more than $1 million. Contributions are helping the American Red Cross Haiti Relief and Development Fund send much needed assistance and aid to those affected by last week’s earthquake. Walgreens stores will continue taking customer donations through the end of the month. More here. 17. Modesto, California-based Save Mart Supermarkets has launched a fundraising drive in all 259 of its Save Mart; SMart Foods, Lucky and FoodMaxx banner stores in Northern California and California's Central Valley region for Haiti relief. The grocer's chainwide fund drive runs until February 1, 2010. 18. Natural and organic food retailer Whole Foods Market Inc. announced today that its 289 stores in the U.S., Canada and the United Kingdom have set up an easy way for shoppers to make donations to help the people of Haiti who have been devastated by the recent earthquake. Shoppers can give any amount at the checkouts at its 289 stores to directly support several different relief organizations, the grocer said today. In addition, the company has created a special “Haitian Fund” to support Whole Foods Market Team Members who have been affected by the earthquake. “We have many Team Members from Haiti, and together we are supporting them by taking these steps,” said Walter Robb, co-president and chief operating officer at Whole Foods Market. “We’re also setting up donation boxes in employee areas in stores, facilities and offices.” More here. 01/20/2010: Whole Foods Market, Inc. announced today that its customers at 289 stores in the U.S., Canada and the U.K. have donated $1 million to several relief efforts in Haiti since January 14. Additionally, through its Whole Planet Foundation, Whole Foods Market said today it is doubling its original commitment to now provide $1 million to its on-the-ground microlending partner in Haiti, Fonkoze. More here. Here are two examples of what all or most of the 289 Whole Foods Market stores are doing: (1) The Whole Foods Market store in West Hollywood, California [ here on Facebook] is collecting donations to help provide medical aid to survivors of the earthquake in Haiti. All donations will go to the organization AmeriCares to aid it in its work in Haiti. AmeriCares is a non-profit global health and disaster relief aid organization, which delivers medicines, medical supplies and aid to people in crisis around the world. (2) The Whole Foods Market store in Walnut Creek, California [here and here] has started a 'Haiti Earthquake Fund Relief Drive' in the store. Here's how they describe it: Please join us in our efforts to help the people of Haiti by making a donation today! Simply tell your cashier which amount ($2, $5, $10) you would like to add to your bill. All donations will go directly to The American Red Cross Earthquake Relief for Haiti... Thank you. 19. Two-store Jacksonville, Florida-based independent natural and organic foods grocer Native Sun Natural Foods Market has launched a customer fundraising drive in its stores to aid the victims of the earthquake in Haiti. The retailer has set up cash donation boxes at every checkstand in its two locations (11030 Bay Meadows Road and 10000 San Jose Blvd in Jacksonville). Customers paying with a credit or debit card can also donate by asking their cashier to add a $1 or $5 donation to their total purchase, the natural grocer says. Collections will be taken through Jan. 31. More here. 20. The Sacramento, California-based Raley's Family of Fine Foods supermarket chain has launched an in-store fund drive for Haiti relief efforts. "Customers can give to Haitian earthquake relief during their stop at the grocery store, and know that 100% of their donations are going directly to the International Response Fund through the American Red Cross to help the devastated area," Raley's said. The chain has set up checkstand collection boxes in all its 134 Raley’s, Bel Air, Nob Hill Foods and Food Source banner stores in Northern California. The checkstand donation program runs January 16 through February 13, 2010. Raley's is paying for all administrative costs, it says, and 100% of the donations will go directly to the International Response Fund through the American Red Cross to help the devastated area. More here. 21. Family-owned Portland, Oregon-based grocer New Seasons Market has launched a checkstand-based fundraising campaign for the victims of the earthquake in Haiti in its nine Oregon stores. All donations collected in the stores will be donated to MercyCorps, a non-profit organization that has launched a major aid effort in Haiti. Learn more about the organization here. New Seasons Market also announced today (January 16) that it will match dollar-for-dollar the first $10,000 of donations made by customers in its stores. 22. The St. Louis, Missouri-based Dierbergs supermarket chain is conducting a checkout donation fundraiser in all 24 of its stores in the state. Shoppers can have whatever amount of money donated to Haiti relief efforts by simply adding it (rounding up) to their grocery bill total at checkout. All donations go to the American Red Cross. More here and here. 23. Omaha, Nebraska-based Baker's Supermarkets, which is owned by Kroger Co., has teamed up with the local television station, KETV, in Omaha to raise money for the American Red Cross' relief efforts for Hiati. Shoppers can make donations at the checkstands in all the the chain's stores. Customers can either make a cash donation or “round-up” their grocery bills as they go through the check-out. The fundraiser started on January 15 and runs until January 30, 2010. More here and here. 24. 180-store supermarket chain Giant Food of Landover, Md. today (January 15, 2010) announced that along with its sister supermarkets, it will donate $100,000 to the American Red Cross International Response Fund. In addition, beginning Saturday, January 16 and continuing through January 31, Giant Food of Landover, Md. will collect donations in all 180 of its stores in Virginia, Maryland, Delaware, and the District of Columbia, and in its corporate offices for the victims of the Haiti earthquake on behalf of the American Red Cross International Response Fund. More here. 25. Family-owned 153-store Arizona USA supermarket chain Bashas' started a checkout-based donation campaign today in all of its stores in the state. Bashas' operates stores under the Bashas,' Food City, AJ's Fine Foods, Dine Markets and Sportsman's banners in Arizona. From the grocery chains BashasNews Twitter site January 15, 2010: 'Donate to the Haiti Relief Fund at any Bashas', AJ's or Food City statewide. 100% given directly to the American Red Cross relief efforts. More here and here. 26. Beverage and food retail giant Starbucks, which also produces, markets and sells natural and specialty foods products, just announced on Twitter (January 17) that it's donating $1 million via its Starbucks Foundation on to the American Red Cross to assist the agency in its relief efforts in Haiti. Here's Starbucks' (@Starbucks on Twitter) Tweet this evening: We're devastated by the destruction in Haiti. To help, the Starbucks Foundation is donating $1 million dollars to the American @RedCross. In addition, today (January 18) Starbucks says it is committing additional support and funding to the growing international relief effort in Haiti. Starting today, participating Starbucks stores in the U.S. and Canada will enable customers to make monetary donations at store registers, with no purchase necessary, to benefit the American and Canadian Red Cross organizations for a limited time, says chairman and CEO Howard Schultz. More here. 27. North Carolina-based natural grocery chain Earth Fare has pledged to make donations to two non-profit oranizations - Partners in Health and the (former Presidents) Clinton-Bush Haiti Fund. In addition, the natural grocer has made a post on its company Blog encouraging customers and others to make a donation to four organizations (including the two it is donating to) it says that based on its own research will ensure your donation reaches the people in need. More here. 28. Kroger Co.-owned supermarket chain Smith's Food & Drug in Nevada has teamed up with the American Red Cross to accept donations for international relief in response to the earthquake in Haiti. Starting today (January 18) through Jan. 30, customers of Smith's Food & Drug can make a donation to the American Red Cross by simply adding any amount to their checkout purchase. All funds collected will directly benefit Red Cross International relief efforts in Haiti to provide food, water, shelter, medical supplies and other assistance, according to Marsha Gilford, Smith's vice president public affairs. More here. 29. Family-owned, New York based supermarket chain Wegmans has donated $100,000 through its The Wegman Family Charitable Foundation to the American Red Cross International Response Fund Haiti Relief. In addition, Wegmans is accepting customer donations for Haiti relief at the checkstands in all 75 of its stores in New York, Pennsylvania, New Jersey, Virginia, and Maryland. The in-store program runs through Saturday, January 23. Customers may donate any amount, and 100% of their donations will go to the American Red Cross International Response Fund Haiti Relief which provides funding for sending relief supplies, mobilizing relief workers, and providing financial resources, according to Jo Natale, Wegmans' director of media relations. More here. 30. The Virgina-based Ukrop's supermarket chain is partnering with First Bank to help support American Red Cross Haiti relief efforts. Beginning on Saturday, Jan. 16, 2010, and running until January 30, 2010, the supermarket chain is accepting shopper contributions at all 28 of its Ukrop’s supermarket and Joe’s Market store locations in Virginia. First Market Bank locations in the state also are accepting donations. Ukrop’s and First Market Bank will match the amount donated by customers up to $50,000, a Ukrop's spokesperson says. More here and here. 2. Kellogg Company, makers and marketers of numerous food brands, including some in the natural and organic foods space, has donated $250,000. Kellogg is also matching any donations its employees make to the earthquake relief efforts on a dollar-for-dollar basis. Link: http://tinyurl.com/yc9skvh. 4. Nestle Waters North America, the bottled water division of food and beverage giant Nestle, has donated $1 million worth of bottled water which is being shipped to Haiti. Link: http://tinyurl.com/yhfktkg. 5. Food and beverage company Pepsi has donated $1 million to Haiti relief efforts through its Pepsico Foundation. Additionally, Pepsi is shipping truckloads of bottled water, Gatorade and food items from its Quaker Oats food division to Haiti. Link: http://tinyurl.com/ydmjmbu. 6. Food company General Mills is donating $250,000 to earthquake relief in Haiti through its General Mills Foundation. The $250,000 pledge includes a $100,000 donation to the American Red Cross International Response Fund and a $150,000 donation to CARE International for long-term rebuilding efforts. See here. Among General Mills' extensive consumer packaged goods brand portfolio include natural and organic food brands Cascadian Farm, Muir Glen and Nature Valley. 7. US-based global food company ConAgra is donating $100,000 via its CanAgra Foods Foundation to the International Red Cross Relief Fund for its efforts to aid the victims of the 7.0 magnitude earthquake in Haiti. See here. The $100,000 donation designated specifically for Haiti is in addition to overall major funding the food company gives to the Red Cross. In 1998, the ConAgra Foods Foundation became a founding member of the American Red Cross Annual Disaster Giving Program, and, in 2005, it pledged an additional $1 million to the cause, to be contributed over five years. 8. Global food, grocery and consumer packaged goods company Unilever is donating $500,000 to the victims of Tuesday's devastating earthquake in Haiti, through its global partnership with the United Nations World Food Programme (WFP). See here. In addition to its monetary donation, Unilever says it's encouraging its employees worldwide to contribute to disaster relief efforts. Additionally, the company says it's preparing product donations to help meet the needs of those affected by the earthquake. Unilever's extensive portfolio of brands includes the popular Hellman's/Best Foods mayonnaise and Knorr specialty foods brand. 9. Dr. Pepper Company, the parent company of the Dr. Pepper/Snapple Beverage Group, has made a $100,000 donation to Haiti relief efforts. More here. 10 Drinks company Diageo Plc has donated 45,000 pounds of food and emergency supplies to the earthquake victims in Haiti. Diageo's specially commissioned 727 aircraft departed on January 15 from Miami with the 45,000 pounds of food and supplies aboard, the comapny said. More here. 11. Tyson Foods is matching employee donations up to $100,000 for Haiti relief efforts. The contributions will go to the Salvation Army, which has personnel on-site and is preparing one million ready-to-eat meals to send to Haiti. Tyson also is exploring ways to provide in-kind relief to accountable organizations providing assistance in Haiti. 12. Hormel Foods is matching employee donations up to $25,000 for relief efforts, with all contributions going to the American Red Cross. In addition to its main line foods business, Hormel has a substancial specialty and natural foods division. More here. 13. Cargill is making an initial corporate donation of $50,000 to long-time Cargill partners CARE and the World Food Programme. In Minneapolis, Cargill volunteers at the company's headquarters will be packaging 20,000 meals on Jan. 18 for the nonprofit Kids Against Hunger, which will be sent directly to people in Haiti; Cargill volunteers will be packaging an additional 30,000 meals over the next month. Note: Let us know what you are doing in terms of donations, fundraising, ect to assist the relief efforts for the people of Haiti and the groups helping in the country in the aftermath of the earthquake. You can let us know using the comments box at the end of this post - or at our Twitter Feed at www.twitter.com/NSFoodsMemo. We want to know what you're doing - and add you the our list - regardless of company size or size the effort. 1. Cooperative Development Foundation raising money to rebuild Haitian cooperatives. http://ow.ly/WxoY. 2. Coinstar, Inc. today (January 16, 2010) announced that more than 15,000 Coinstar centers in the U.S. have been enabled to support victims of the devastating Haitian earthquake that occurred earlier this week. A special U.S. Fund for UNICEF code, 5556, has been added to Coinstar Centers in participating locations allowing individuals to help the millions of children and families struggling to survive the aftermath of the Haiti earthquake. Coinstar centers are those machines you see that turn your change into currency. Many of the machines are located in supermarkets and discount stores in the U.S. Click here for full and additional details. 3. The Dairy Farmers of America, a cooperative representing more than 18,000 dairy farmer producer-members in the United States, is sending 54,000 cans of its “Sports Shake” dairy-based energy drink to Hiati for distribution by relief workers there. More here and here. The cooperative produces and markets value-added, milk-based products like its "Sports Shake," along with its other business activities. 4. Wine and spirits distribution company Southern Wine and Spirits is matching employee donations for Haiti relief up to a total of $100,000. 5. The National Association for the Specialty Foods Trade (NASFT), the U.S.-based trade association for the specialty foods industry - specialty foods manufactures-marketers, retailers and related companies - is encouraging its exhibitors and members to continue their long tradition of assisting people in need by responding to the humanitarian crisis in the aftermath of the earthquake in Haiti,” says Ann Daw, president of NASFT. NASFT is currently holding its annual winter specialty foods trade show in San Francisco, California. The show runs through Tuesday, January 19. The specialty foods association is encouraging its members and others in the $60 billion specialty food industry to support relief efforts in Haiti. Reports are stating that donations of money are the best way to help, the association president says. In Addition, Ms. Daw says the Winter Fancy Food Show plans to keep its commitment to donate more than 100,000 pounds of specialty food and beverages to San Francisco Bay Area residents in need. The donation will be made at the close of the trade event on Tuesday, Jan. 19. For the second year, NASFT has been working with Feed the Hungry, an international hunger relief organization, to organize the donation and deploy the food to a network of local anti-hunger programs. More here. Follow us on Twitter.com at www.twitter.com/NSFoodsMemo for updates, news and more.